Mike Edwards is a Glyndebourne Member who has been visiting the Festival for nearly 50 years. 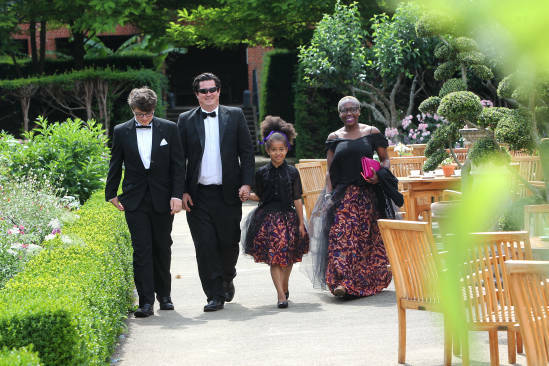 To help us celebrate Remember a Charity Week, Mike recounts the happy times he and his family have spent here, and how they have inspired him to leave a lasting legacy to Glyndebourne in his will. Mike is a proud member of our John Christie Society. 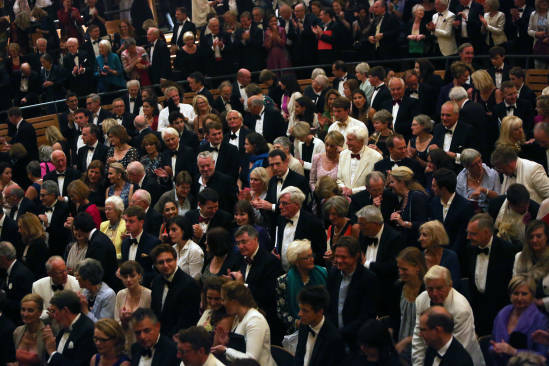 The society, which is named after our founder, recognises everyone who leaves Glyndebourne a gift in their will. I had read about Glyndebourne, in a book by jazz musician and writer Spike Hughes before I made my first visit nearly half a century ago but I was not prepared for the idyllic setting – under the tranquil South Downs – of the house and modest theatre. Months earlier I had queued for tickets outside Ibbs & Tillett, a London based classical music artist and concert management agency in Wigmore Street, to see what was to be a sunny Mediterranean production of Così fan tutte. Within hours I was captivated by Glyndebourne – the beautiful gardens, the world class musical standards, the creativity of the production and the charming Glyndebourne staff won me over on that first visit. Our dinner that day was a very simple picnic; a rug or two and a few sandwiches, whilst the experienced members of the audience had much more elaborate furnishings and extravagant spreads. Returning home, my mind full of the days memorable events, I promised myself, in Audrey Mildmay’s legendary words to John Christie when building the original opera house, if I am going to do this thing again then for God’s sake I will do the thing properly. After a few years I was offered Festival Society Membership and our visits became more frequent. Catering arrangements were made with military precision so as to make the day perfect. We planned a leisurely car journey through picturesque country roads, avoiding any possible traffic hold-ups, so our guests would arrive calm and relaxed. 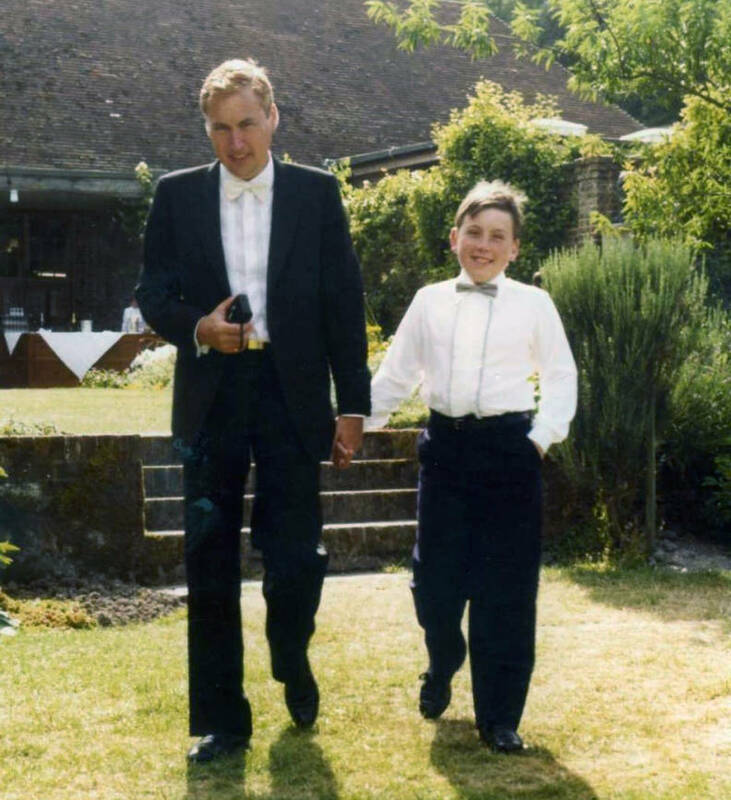 Along with George Christie’s (the son of John Christie and, at the time, Executive Chairman of Glyndebourne) desire to widen the Glyndebourne audience, I decided, in 1983, to include my young son on one of our visits. The opera was Prokofiev’s L’amour des trois oranges, appropriately sponsored by Cointreau. We were photographed, walking together through the lovely fragrant walled garden adjacent to the Covered Way. Sadly missed, it had to go to make room for the stage area of the new theatre. My son enjoyed himself so much that day that I added him onto the long waiting list for the Festival Society Membership. He was eventually invited to join after a period of 14 years when he was 24. 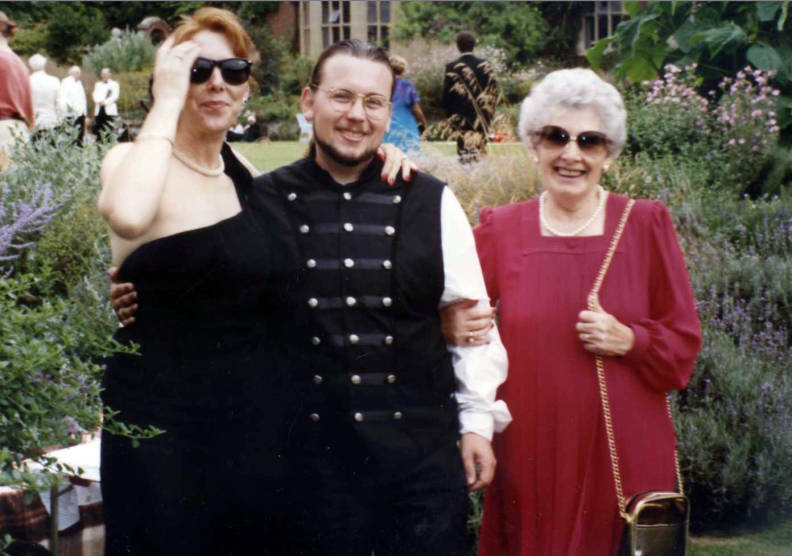 As the Festival gradually extended further into August I began a tradition of celebrating my birthday at Glyndebourne. I could not wish for a better way to enjoy the day. For my fortieth in 1985, I brought a party of 10. There was a new double bill production of Where the Wild Things Are and Higglety Pigglety Pop! with designs by Maurice Sendak. It delighted young and old alike. Very unusually for Glyndebourne they scheduled the double bill twice a day and encouraged members to bring along children. We had for a number of years frequented the restaurant for dinner. 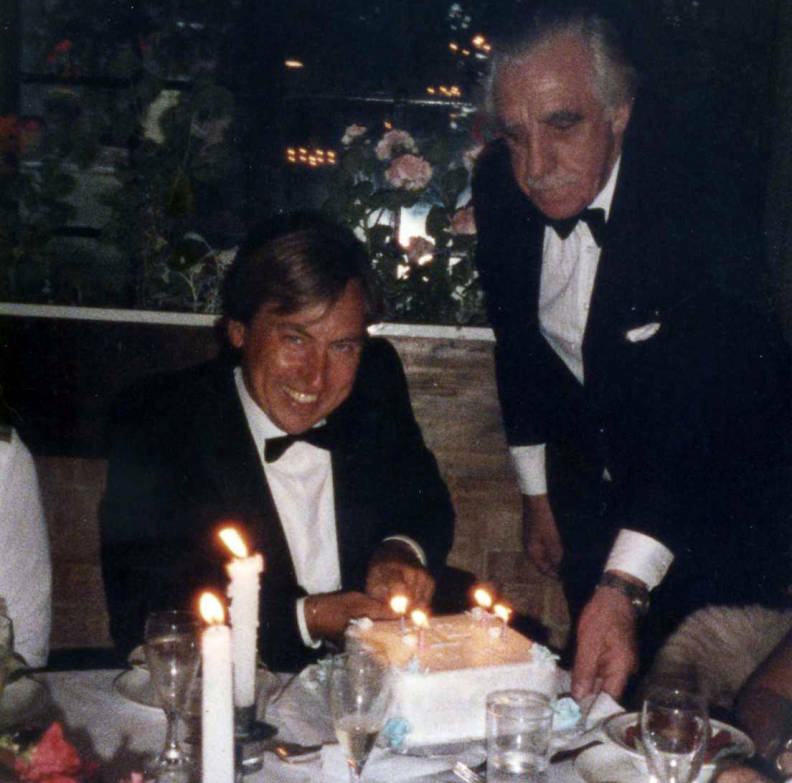 On this particular birthday our table was numbered 40 and the chef made a spectacular dessert cake, complete with rather a lot of candles, which was rather embarrassingly paraded through the restaurant. I soon had a line of children asking for a slice. I had never seen anything like it before at Glyndebourne nor have I since. It rained heavily from dawn to dusk but we had a most wonderful day! 1994 saw an amazing new theatre and the following year another notable birthday. 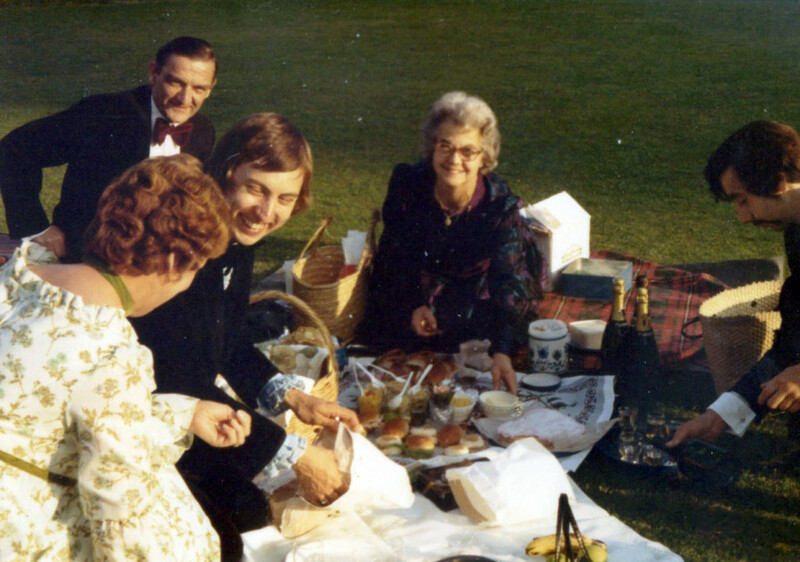 During the morning we had prepared our now customary pre-performance canapé picnic, thus having the best of both worlds, a picnic in the afternoon and then dinner in the restaurant during the evening. My wife secretly arranged a chauffeur driven limousine for the day. It was a real treat for me because I had always driven before. We went off in style, to see Don Giovanni with my son and my wife’s charming mother making her very first visit. It was a great thrill to watch her having the time of her life on what was another marvellous birthday. What my wife and I love about Glyndebourne is people having an extraordinary day. They have had to take time off, order tickets well in advance and arrange food and drink, in preparation for this special moment. The atmosphere in the theatre just before curtain up is always buzzing with anticipation and excitement. Glyndebourne has given us and our guests so many memorable visits over so very many years, so we decided to leave a gift to Glyndebourne in our will. In recognition of this support we were offered a place in the John Christie Society. We feel being members of the John Christie Society makes us feel a part of the company, and for us, is a fitting way to give a little something back to help secure Glyndebourne’s future for many more generations to come. Legacies can support specific areas of work such as education and young singers, or contribute more generally towards the operatic enjoyment of future generations. Either way, they can make a unique memorial to a personal involvement with Glyndebourne. Find out more about leaving a gift to Glyndebourne and becoming a member of the John Christie Society. Find out more about remembering Glyndebourne in your will. Hear from our supporters about what inspired their gifts. Glyndebourne’s work is made possible thanks to the generosity of our supporters. Any donation, no matter what size, makes a difference. Thank you.